I love you, Prosecco . 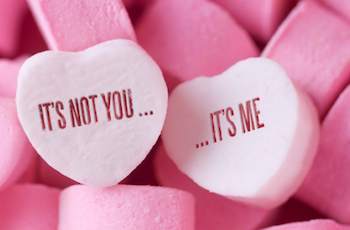 . . I’m just not in love with you. But, I’m trying. I really am. Last week, I was asked by Drinking in America to answer a few questions for some research they’re conducting on the rise in popularity of Prosecco. To be honest, I didn’t realize Prosecco was having a moment. When I’m in the mood for a glass of Bubbles, I tend to wear Champagne blinders. The Regions: Prosecco is a region in Italy, just like Champagne is a region in France. But it wasn’t always that way. It used to be, you could make a sparkling wine just about anywhere in Italy and slap a Prosecco label on it — the region wasn’t exclusive. But all that changed in 2009, when the Italian Minister of Magic (or Agriculture) ordained Prosecco as a protected DOC region, and promoted the former DOC region, Prosecco di Conegliano e Valdobbiadene, as a protected DOCG region. The Grapes: Prosecco is made using the grape, Glera, neé Prosecco (the grape name changed in 2009 with Prosecco di Conegliano e Valdobbiadene’s promotion). Champagne is made using a blend (or sometimes solo grapes) of Chardonnay, Pinot Noir and Pinot Meunier grapes. The Methods: Both Prosecco and Champagne are fermented twice. Champagne ferments in a barrel, and then a bottle — a process called Méthode Champenoise. Bonus points if you say it with a Frenchy accent. Prosecco, on the other hand, ferments twice in stainless steel vats, a process called the Charmat Method, which is considerably faster and cheaper than Méthode Champenoise. Back in November, British daily newspaper, The Guardian, published an article about the rise in popularity of Prosecco: Prosecco Sales Fizz as Champagne Goes Flat. So what’s up with the Prosecco surge? Prosecco is light, friendly, and easy to drink. Prosecco tends to be a little bit sweet, and people tend to like things that are a little bit sweet. It’s also much less expensive than Champagne. Maybe Prosecco is recession-proof. What’s not to like? Technically, nothing. Had I known about Prosecco in college, I might not have gone through my formative Bartles & James phase. Today, I like my bubbles DRY. If I pop open a bottle of bubbles and it’s sweet . . . sighs and disappointment. If I want sweet bubbles, I’ll drink a ginger ale. I know it’s unfair, but in my mind Prosecco = sweet & cheap. Don’t send the Prosecco mafia after me. Prosecco has it’s place — a fresh, well-made Bellini can really make your day. And, once upon a vacation, I spent an afternoon sipping cold Prosecco on the Grand Canal in Venice — that’s pretty close to perfect. Also, Prosecco makes the best Mimosas ever. Which reminds me . . . if you’re a rhubarb fan (and rhubarb season is just around the corner), try this recipe for super yummy Rhubarb Mimosas. The point of that last paragraph is this: I almost always drink Prosecco in some sort of cocktail. My preference for solo Bubbles was, is, and will always be Champagne. And if I want Bubbles on a Tuesday? I grab a sparkler from the US or a Spanish Cava. Prosecco isn’t even a player. Maybe I’ve been to harsh? I certainly don’t want to be close-minded. As Saint Augustine once said, “The world is a book, and those who do not travel read only one page.” Not many people realize he was talking about wine, too. So, in an effort to “travel” a bit more, I’m seeking out some DOCG Brut Prosecco to take out for a spin. Head’s up Champagne . . . we’re on a break tonight. Nose: Edelweiss and snow. I don’t know why, either. But that’s what I get. And now I’m thinking about one of my favorite movies of all time, The Sound of Music. Julie Andrews, not Carrie Underwood. As far as image conjuring goes . . . not bad at all. Crisp, fresh, and pleasantly dry, with flavors of pears and lemons. Light, little bubbles. It lacks depth and complexity, but here’s the trade-off . . . it’s $18! Invite Prosecco to the party. Keep trying new things. Remember: Prosecco doesn’t always = sweet and cheap. Look for Prosecco di Conegliano e Valdobbiadene on the label. Also look for the other Prosecco DOCG title, Asolo Prosecco. Look for Brut on the label. The key question posed to me by Drinking in America was this: Does Prosecco have the potential to overtake the sparkling wine world? Why or why not? Prosecco has a reputation as fun and easy to drink — it’s blissfully uncomplicated. Prosecco is also cheap (I think the Prosecco lobby prefers “an inexpensive alternative to Champagne”). Maybe cheap is Proecco’s silver bullet. But, cheap is a double-edged sword. Fun, easy and cheap isn’t always a good thing. I’d aim for chic and affordable. At the end of the day, Prosecco is style. But, Champagne is style AND substance. I doubt Prosecco will pull off a mutiny over the King of Bubbles . . . but it’ll keep earning points for persistence. What do you think? Could Prosecco ever de-throne Champagne?? I really like Prosecco but prefer champagne. I think Prosecco has been having a moment for a while now. Great post very informative. Thanks, as always, Suzanne! Great to “see” you!! Great write-up! As you know, I am a champagne snob, but I feel as though Prosecco has its place. I have also heard that there are some higher end Proseccos out there, but I have never seen nor tasted any…. Prosecco definitely has its place . . . usually in a cocktail for me. But I’m slowly seeking and getting acquainted with the DOCG Brut Prosecco family. They’re not easy to find, though. I also think that at $18, it becomes easier to make the jump to a champagne at $30. 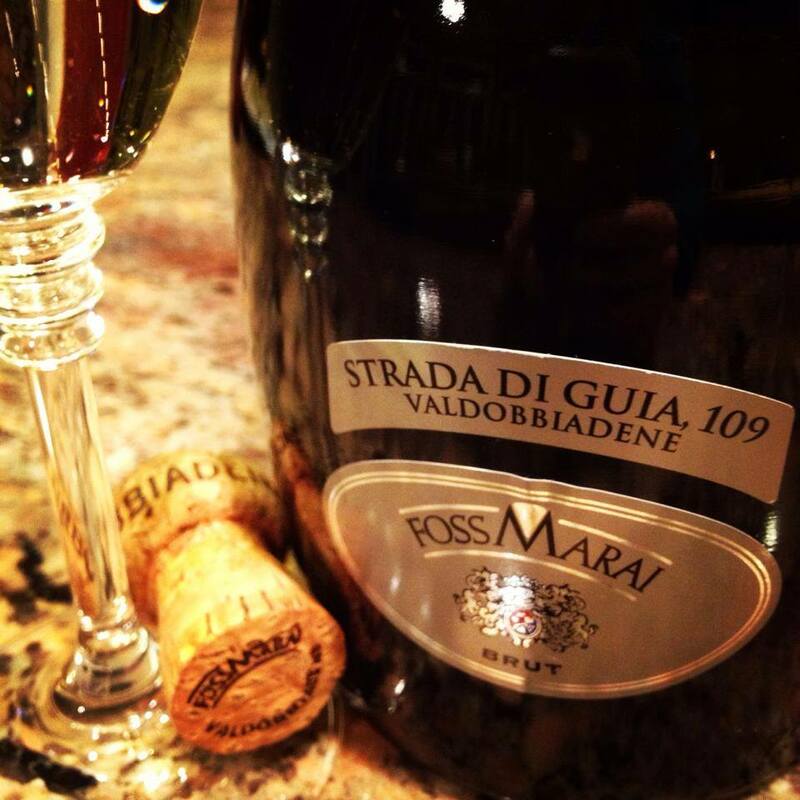 When the Prosecco is around $10, it is a much easier call to go Italian…. “faster and cheaper ” does nor always equal less good, as it is a matter of taste. Personally I don’t mind Prosecco nor Champagne, how ever………, Cava is for me, if well made, the King, Queen and Prince of bubbles! 🙂 Thank you for the article and don’t forget to drink more, well made, Cava! Thanks for stopping by, Catalan! Absolutely! Any wine is good if you like it. And I’ve been having a fling with Spanish Cava for years now . . . 💙 it! I’d love to visit Catalonia . . . so far, I’ve only been around Madrid and Toledo. But I loved it!! Great wines, great food, great people!! On price alone, I would say yes. 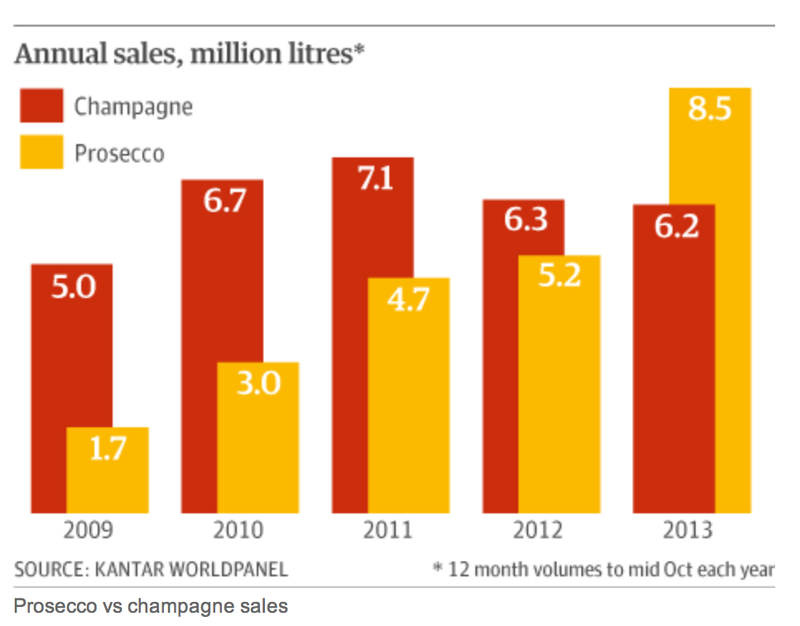 Prosecco will dethrone Champagne in sales. But in quality and reputation? Never. While consumers are willing to spend more for quality, Champagne is still very expensive for most consumers. Well said. I’ve been trying to experiment a bit with less expensive Champagnes . . . just to broaden my horizons a bit. For bargains, I’m still a big fan of US sparklers and Cava, too! Salud!